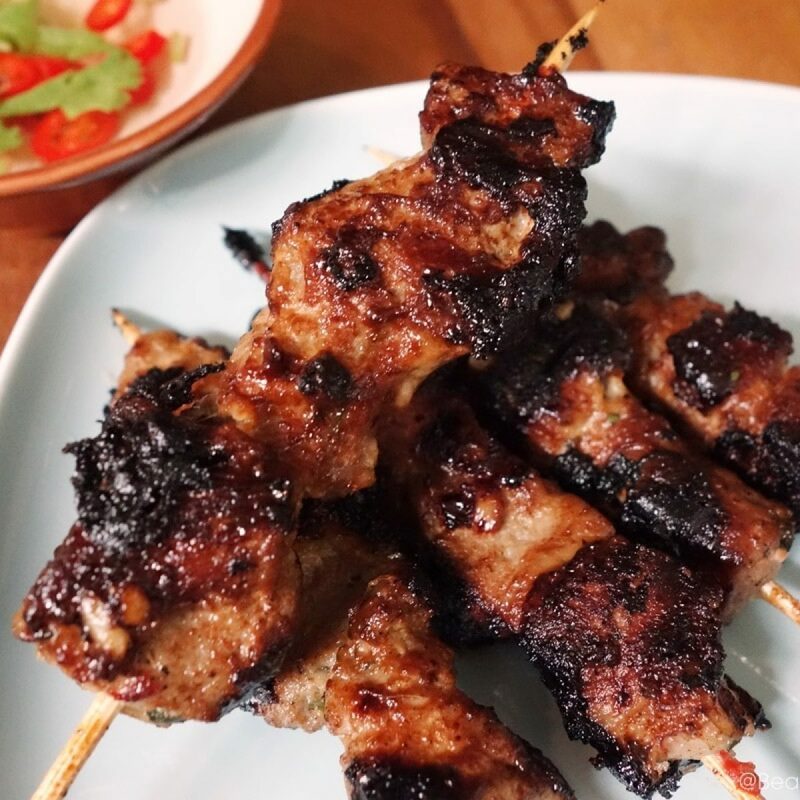 When I came across the recipe from Corner Cafe, I wanted to make it so badly. 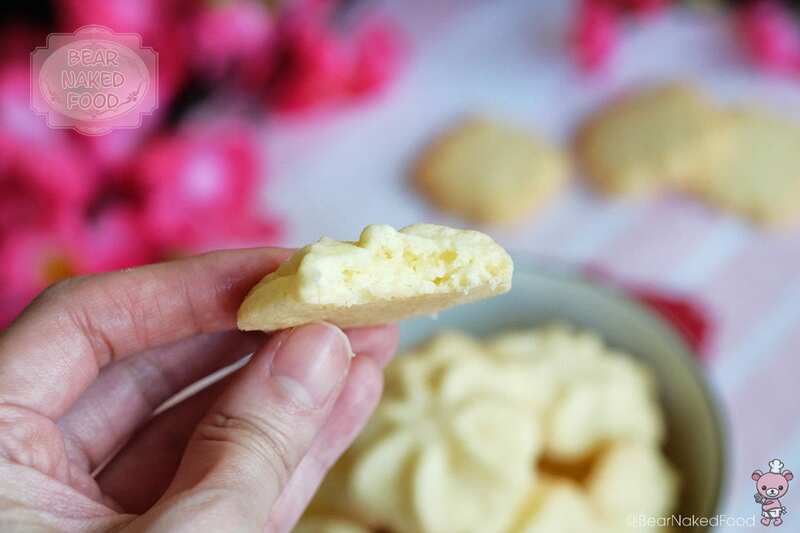 It seemed really easy and there is absolutely no flour required, which makes it perfectly gluten-free! 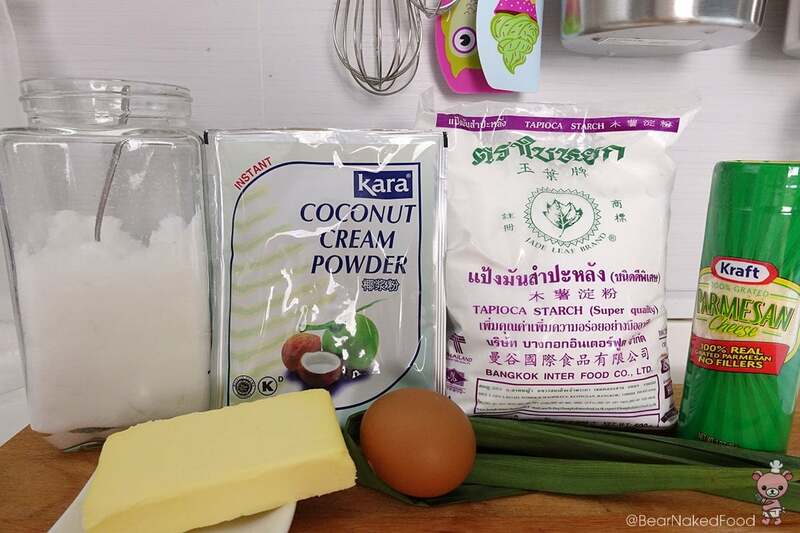 I did not have parmesan cheese powder and coconut cream powder at home but thankfully, I found both items at a local supermarket with ease. 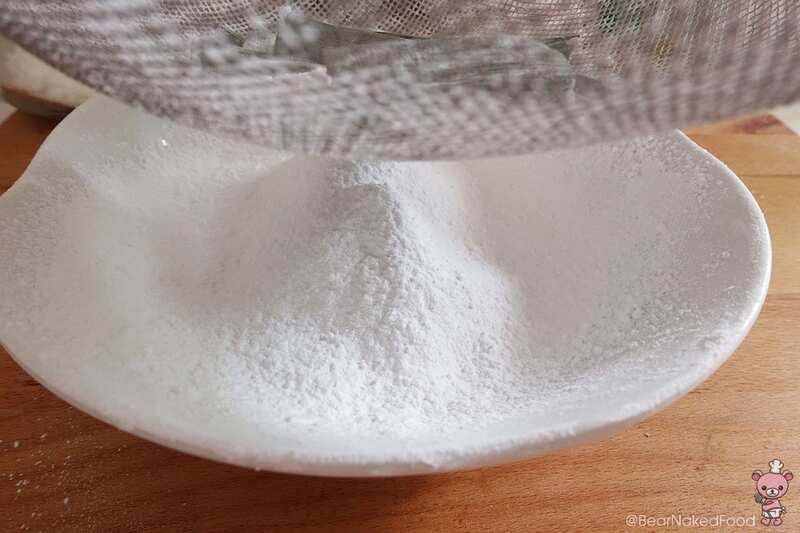 This is the parmesan cheese powder I used. The steps are pretty straightforward, perhaps the only “complication” would be infusing the pandan leaves with the tapioca starch. If you have a microwave, that would make your life easier. 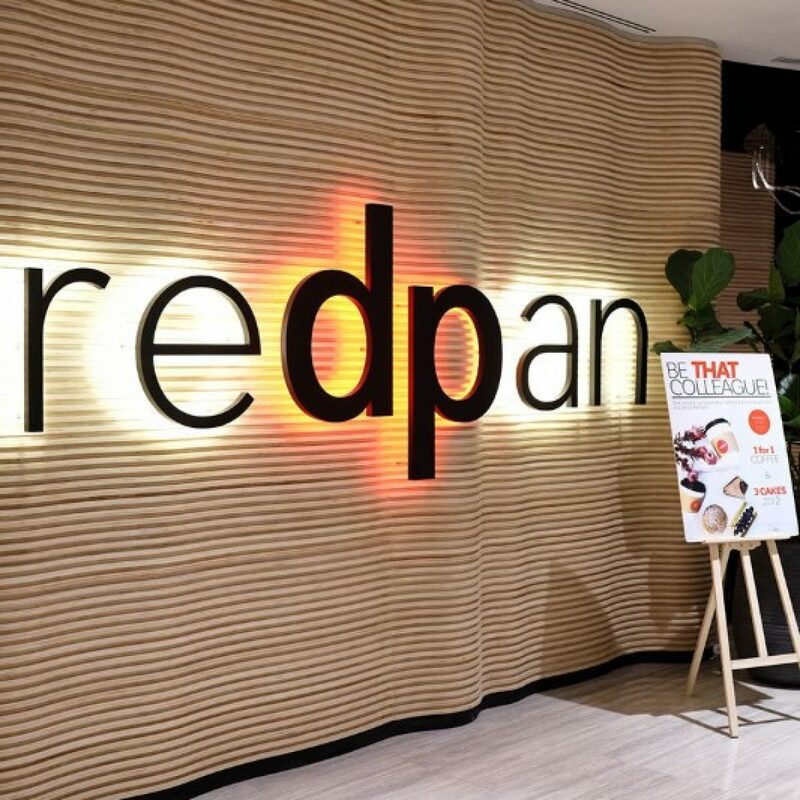 Otherwise, just fry the tapioca starch and pandan leaves together in a frying pan (low heat) for 10 mins, until dry. 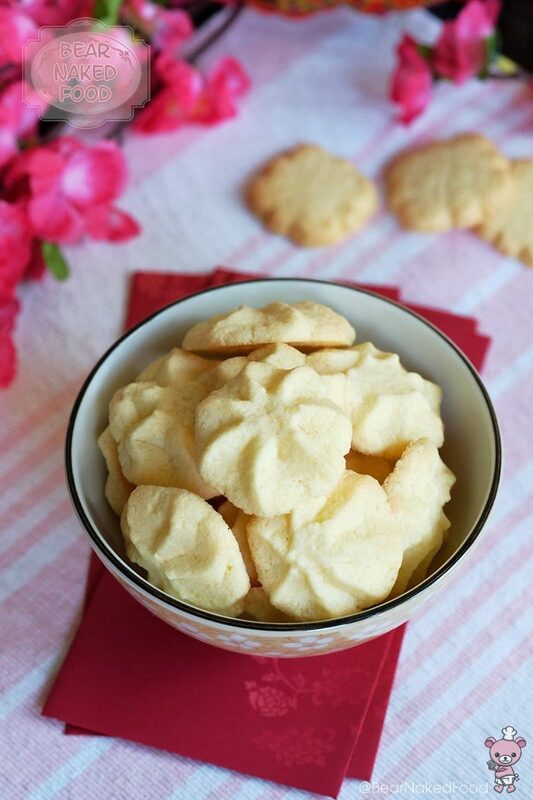 There are a few methods to shape the cookies. 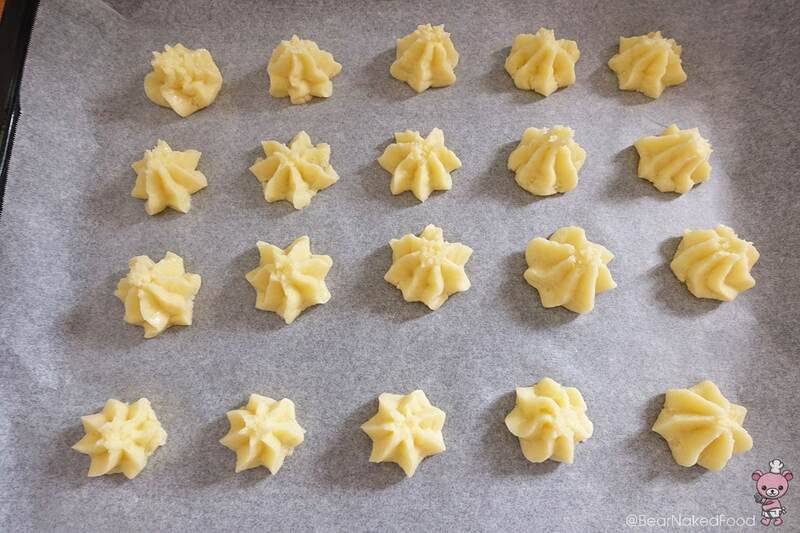 I’ve tried the piping method, using cookie stamps and even just rolling them into balls with my hands. 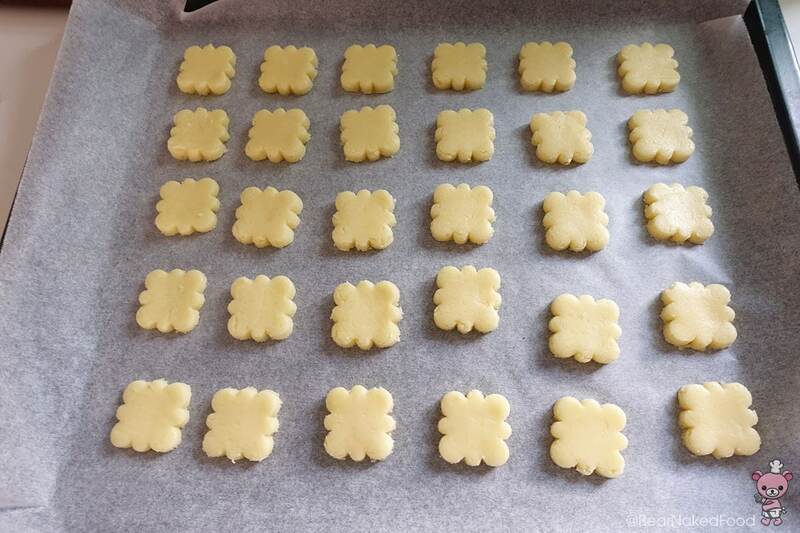 Whichever shapes I experimented, they turned out well. 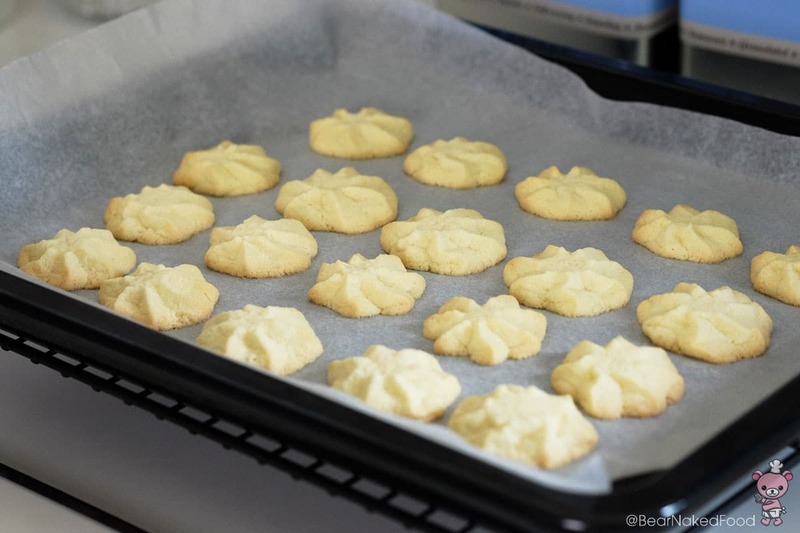 You could also adjust the texture of the cookies to your liking – standard baking time will yield a melt-in-your-mouth texture and if you let them go a couple more minutes longer in the oven, you’ll get light and crunchy cookies. 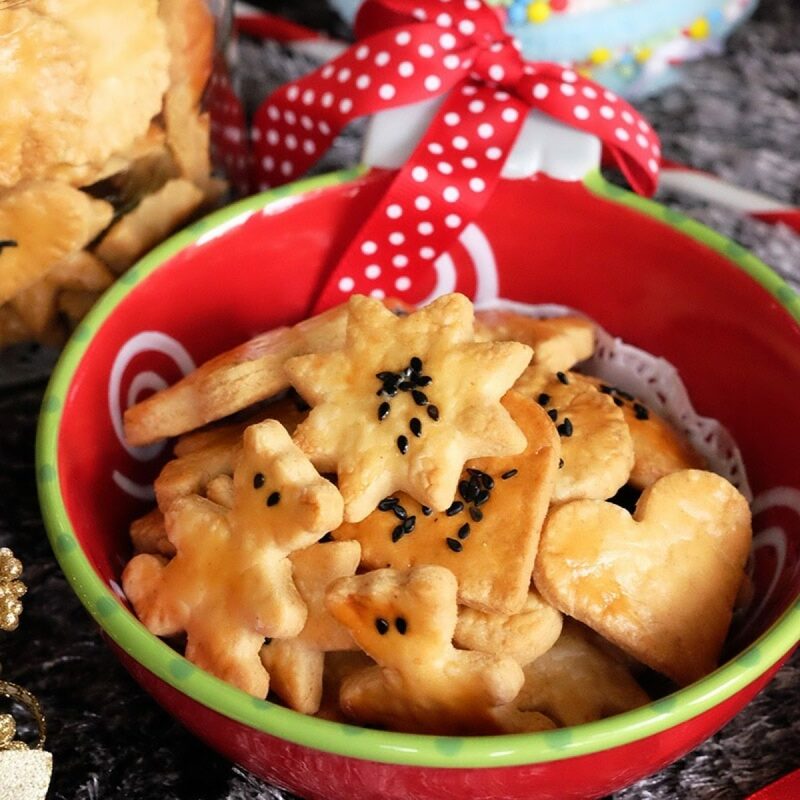 I absolutely adore the melt-in-your-mouth texture, while Tiger loves his cookies crunchy. I guess it was a win-win situation for both of us! Line a microwave-safe dish with a layer of kitchen paper towel and add in pandan leaves and tapioca starch. Microwave at high for 1 min. 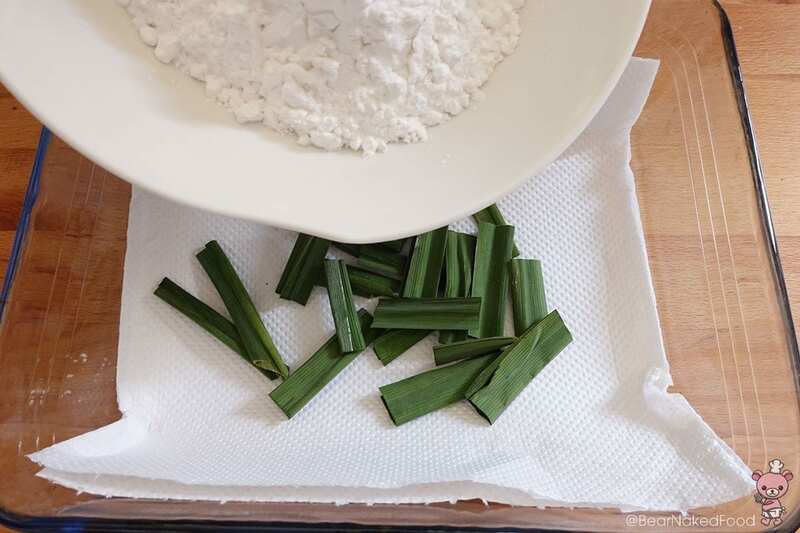 Remove the flour and pandan leaves and change a new piece of kitchen paper towel. Microwave again at high for 1 min. 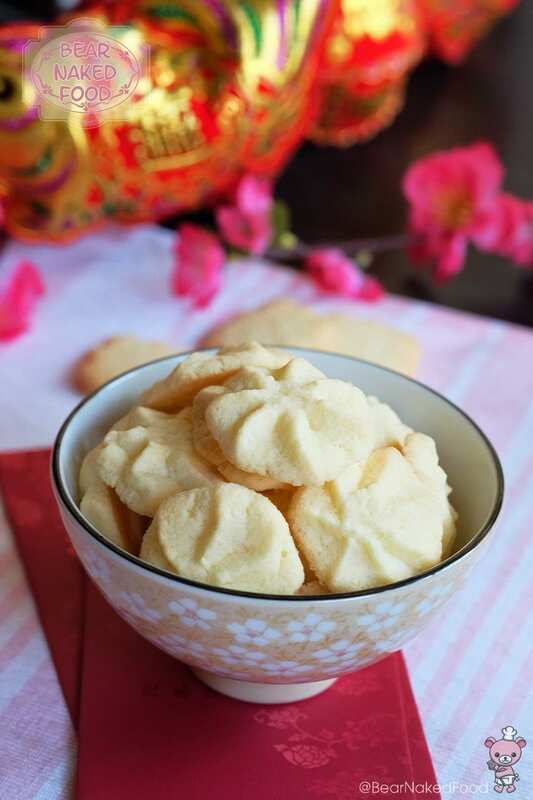 Sift the flour into a bowl and discard the pandan leaves. 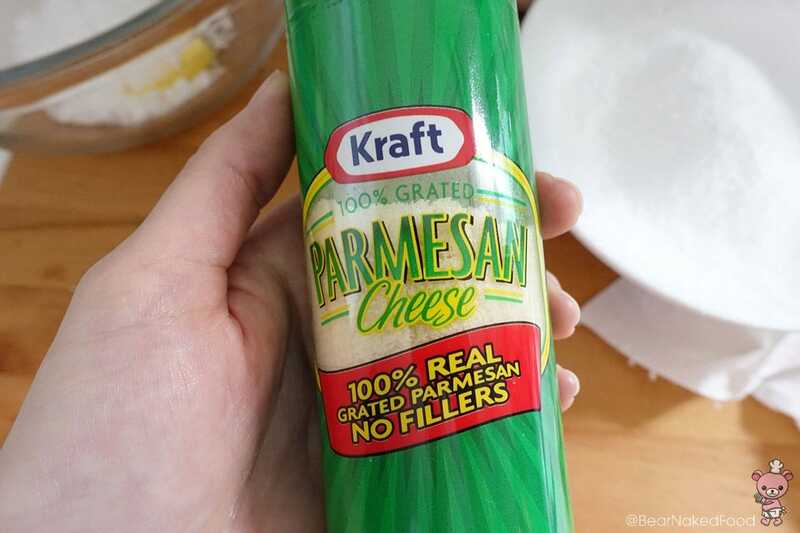 Add in parmesan cheese, coconut cream powder and set aside. 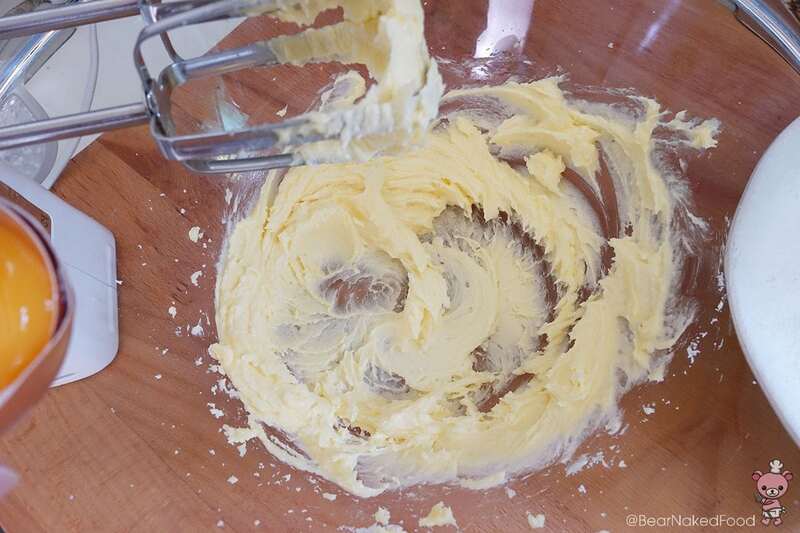 In a large bowl, use an electric hand mixer and cream the butter and sugar together until pale and fluffy. 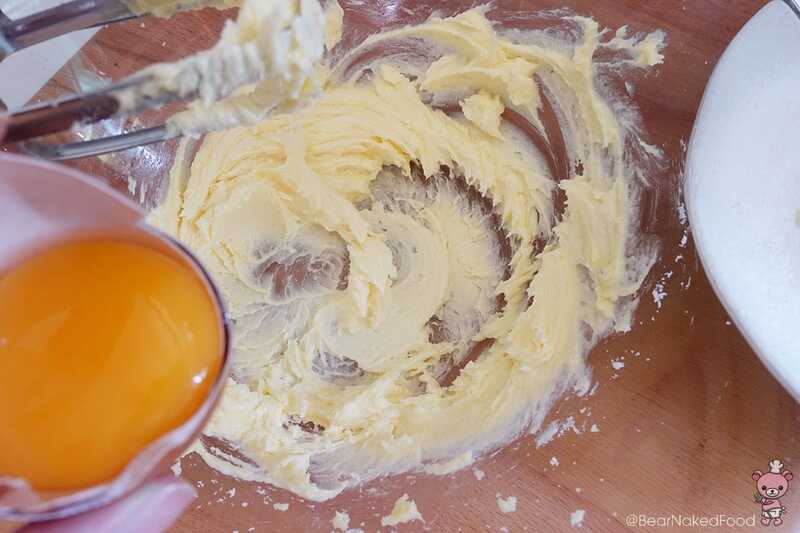 Add in egg yolk, turn on hand mixer and mix well. 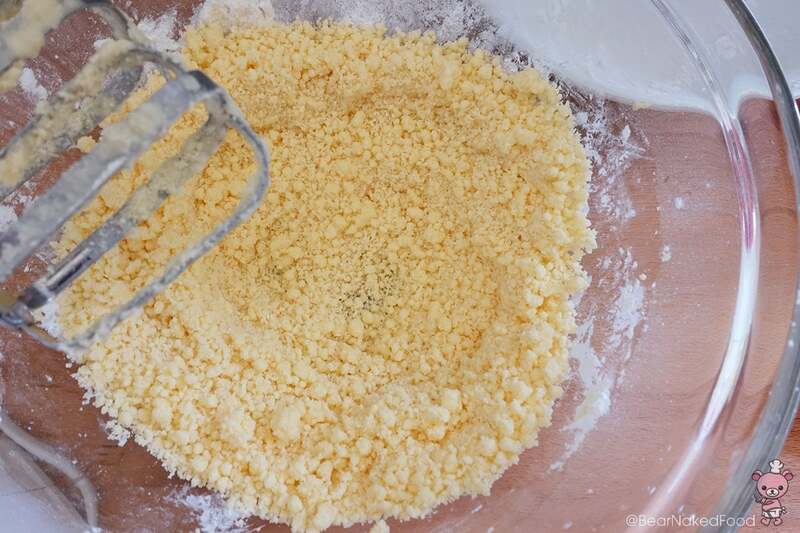 Pour in the flour mixture and without turning on the mixer, mix the flour into the butter egg mixture. 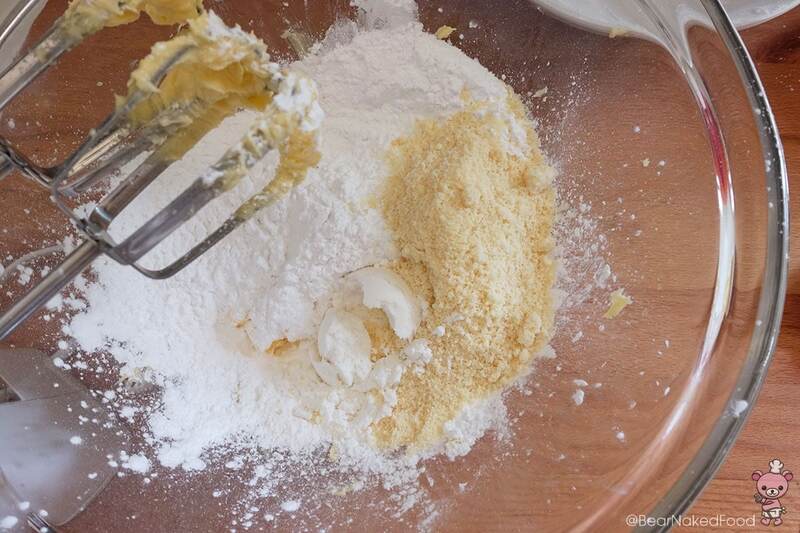 When the flour has almost disappear, turn on the mixer and beat for 30 seconds, until well incorporated. The dough will look very crumbly and that is very okay. 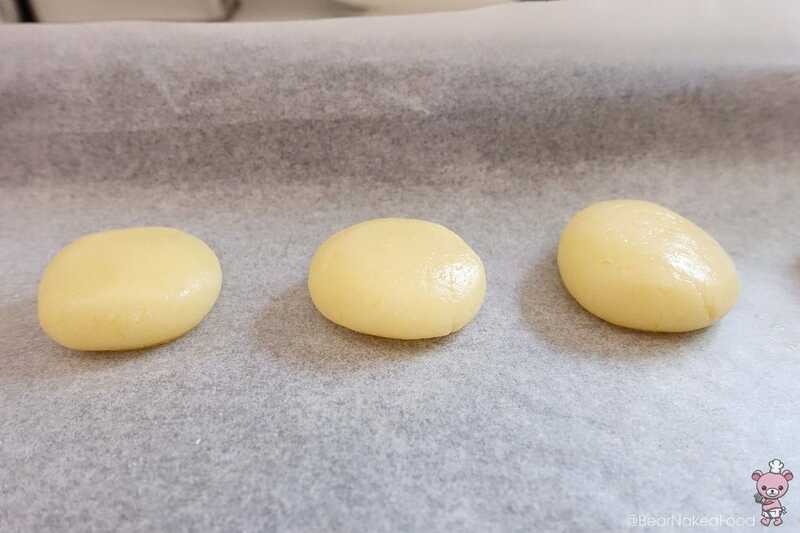 Lightly beat the egg white until foamy and pour half of it into the dough. It is not necessary to use all of the egg white. I only needed half of the egg white. 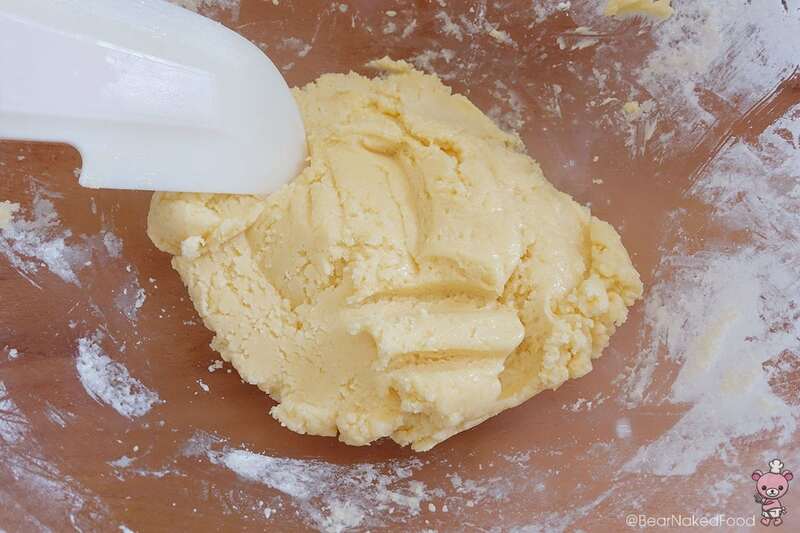 Mix until the crumbly dough binds together but not wet. 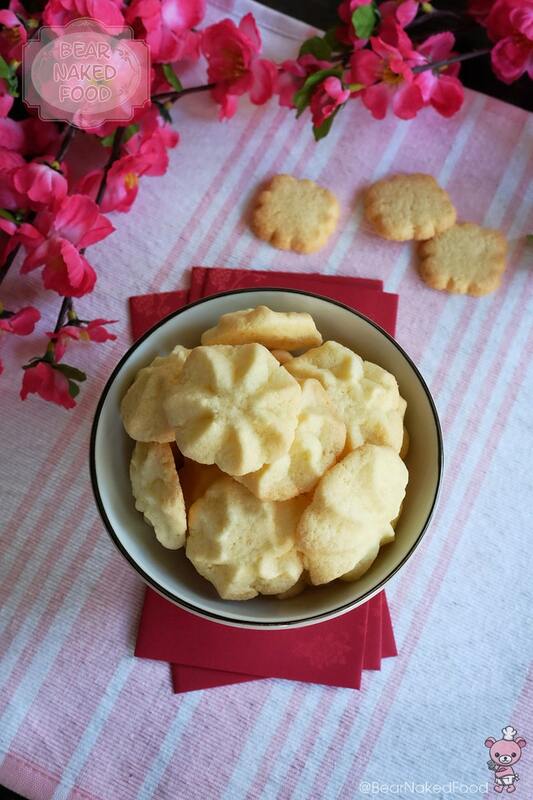 If you are piping the cookies, transfer dough into a piping bag fitted with a 1-cm star tip nozzle. 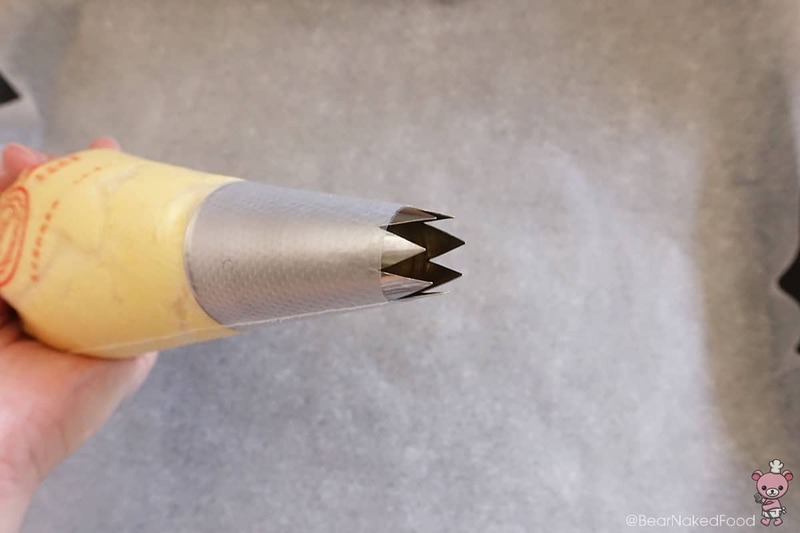 Pipe the cookie dough (approx. 1-inch size) onto a baking tray lined with non-stick baking paper. Leave some space apart as they will expand slightly. 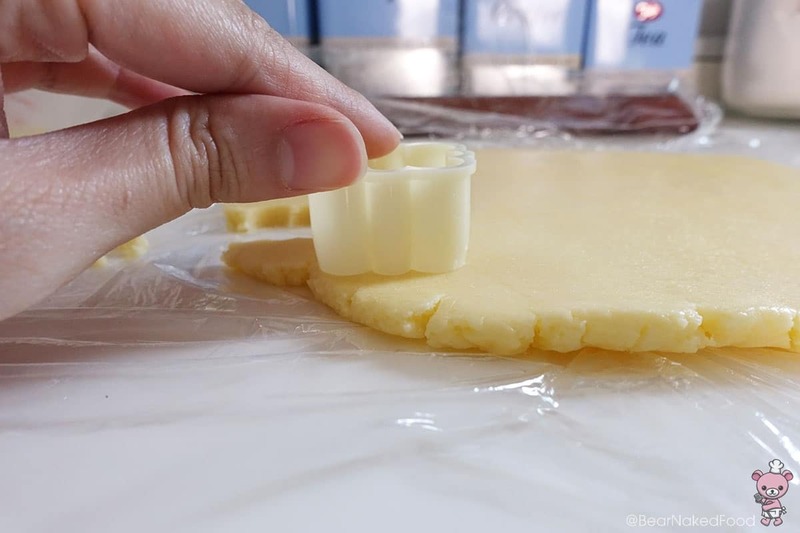 If you are using cookies stamps to cut out the cookies, wrap the dough with cling wrap and refrigerate for 20 mins. That would make it easier to stamp the cookies. 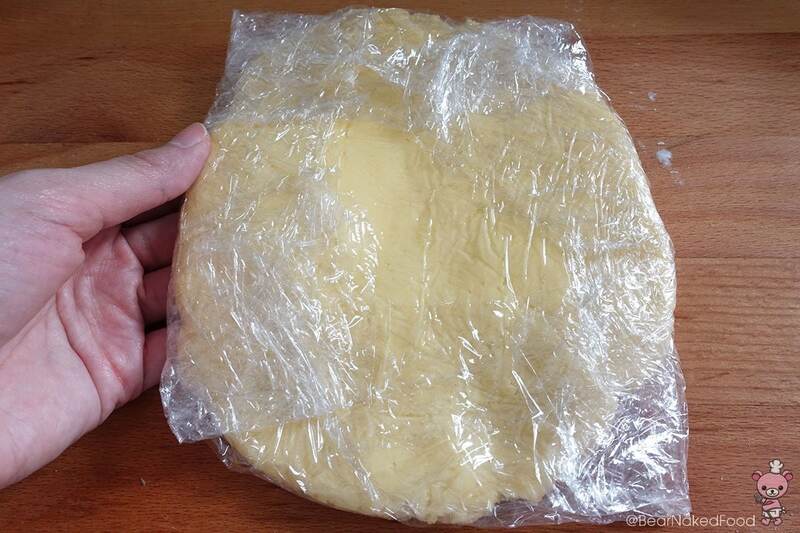 Place dough in between 2 sheets of cling wrap and flatten it. Wrap and refrigerate for 15 mins. 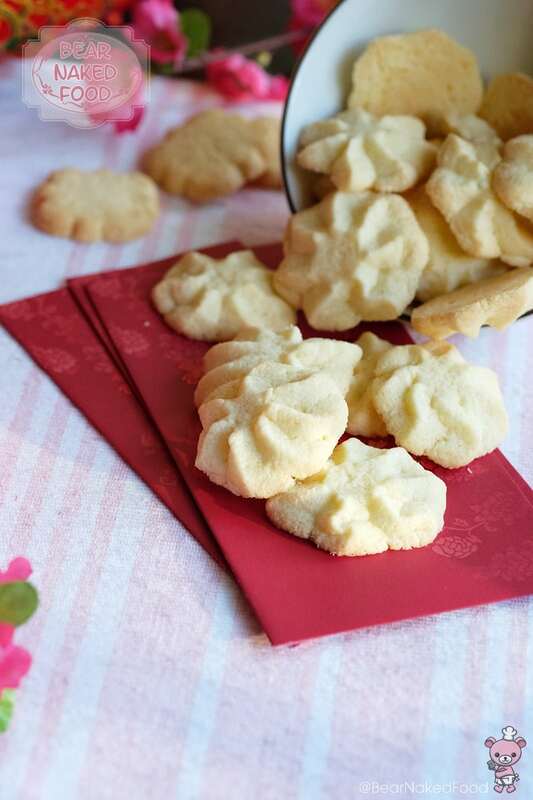 It will be much easier to stamp out the cookies. Roll out the dough to approx 0.5 cm thickness and use any cookie stamp of your choice. 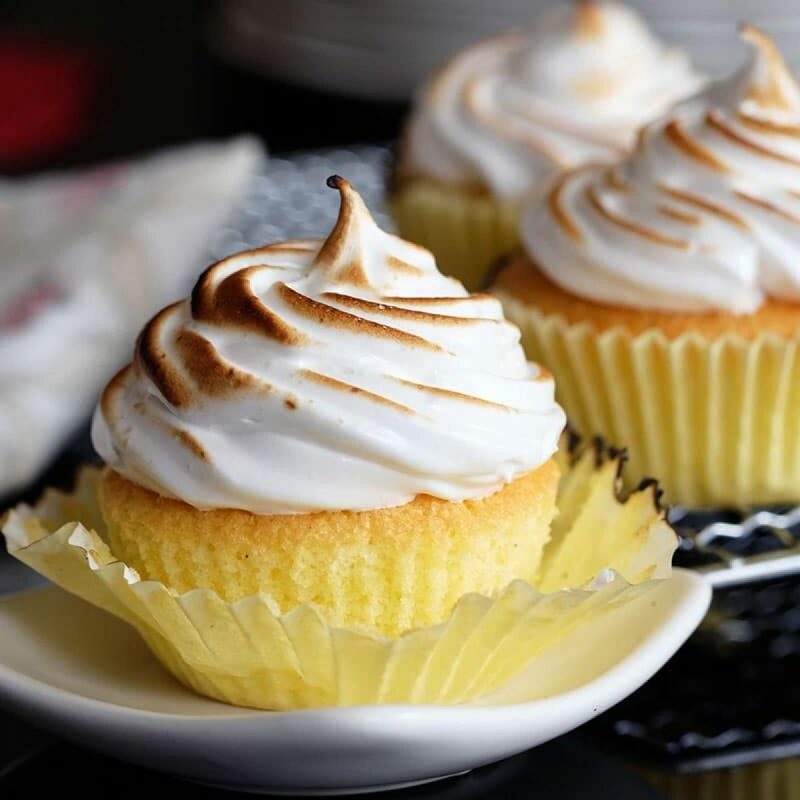 For mouth-in-your-mouth texture, bake for 14 – 16 mins. They should be lightly golden brown. For crunchy texture, bake for 17 – 19 mins. 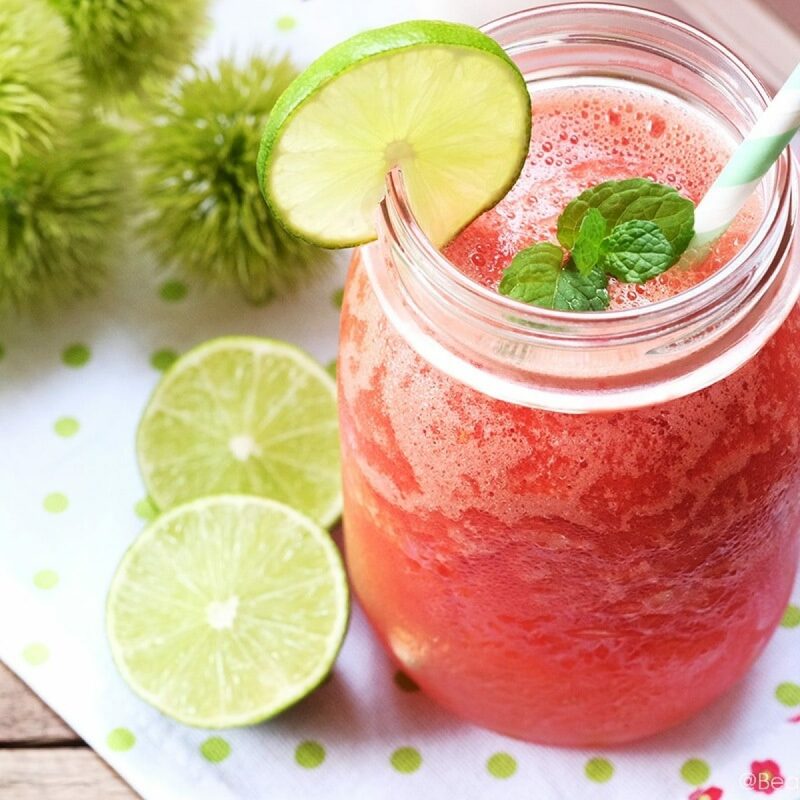 Allow to cool before storing in air-tight containers for up to 2 weeks. Line a microwave-safe dish with a layer of kitchen paper towel and add in pandan leaves and tapioca starch. Microwave at high for 1 min. 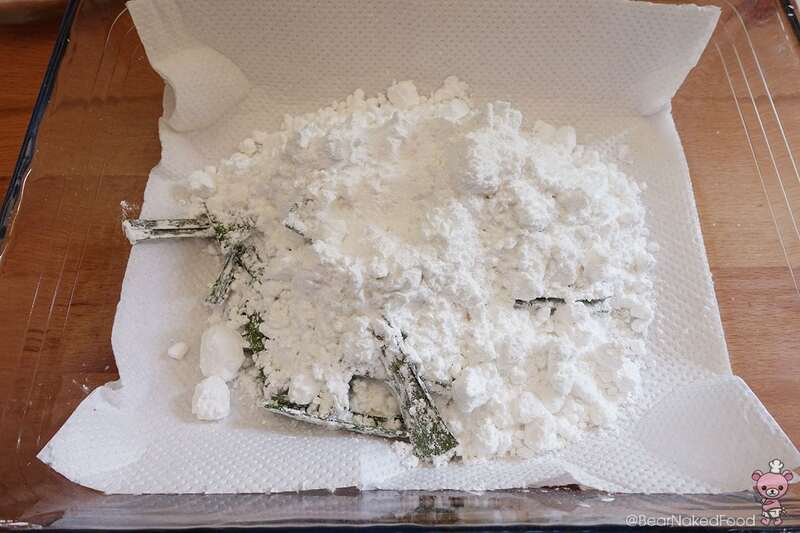 Remove the flour and pandan leaves and change a new piece of kitchen paper towel. Microwave again at high for 1 min. Sift the flour into a bowl and discard the pandan leaves. Add in parmesan cheese, coconut cream powder and set aside. Lightly beat the egg white until foamy and pour half of it into the dough. It is not necessary to use all of the egg white. I only needed half the egg white. 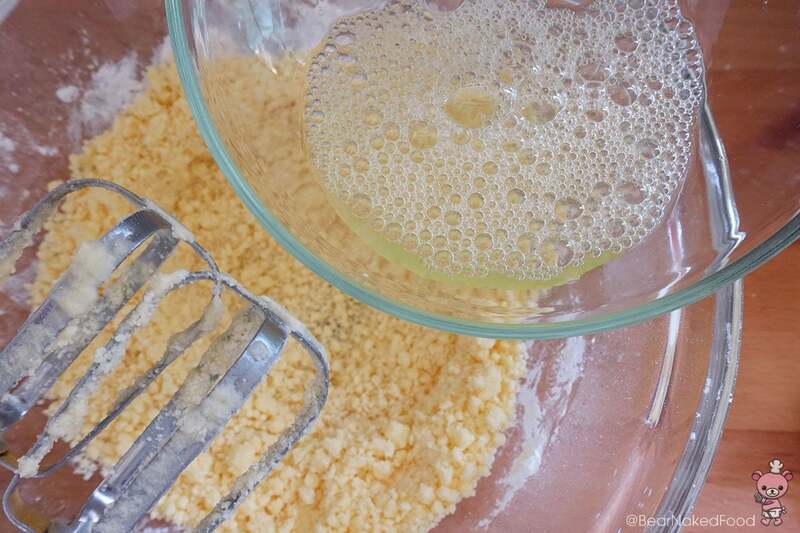 Mix until the crumbly dough binds together but not wet. 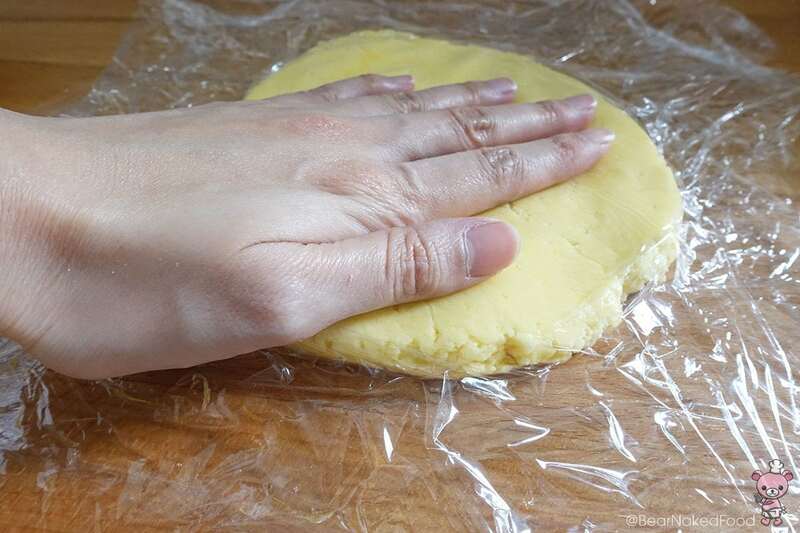 If you are using cookies stamps to cut out the cookies, wrap the dough with cling wrap and refrigerate for 15 mins. That would make it easier to stamp the cookies. 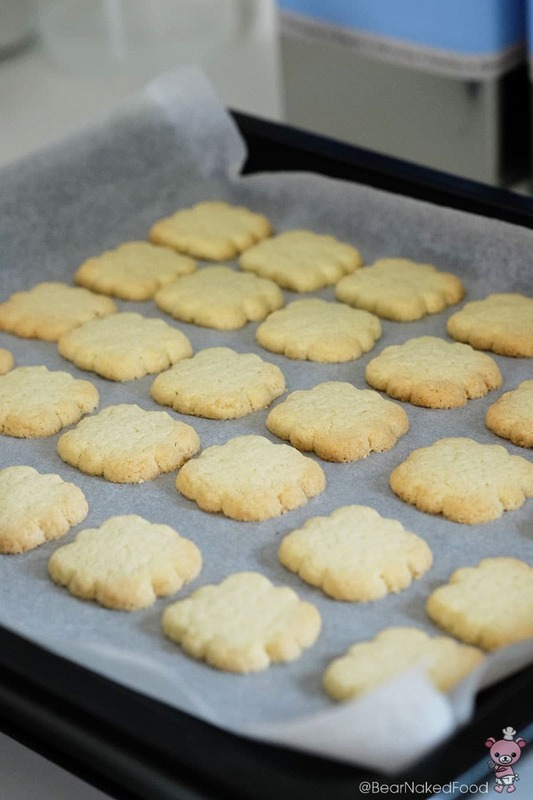 Roll the dough to approx 0.5 cm thickness and use any cookie stamp of your choice. For mouth-in-your-mouth texture, bake for 14 - 16 mins. They should be lightly golden brown.